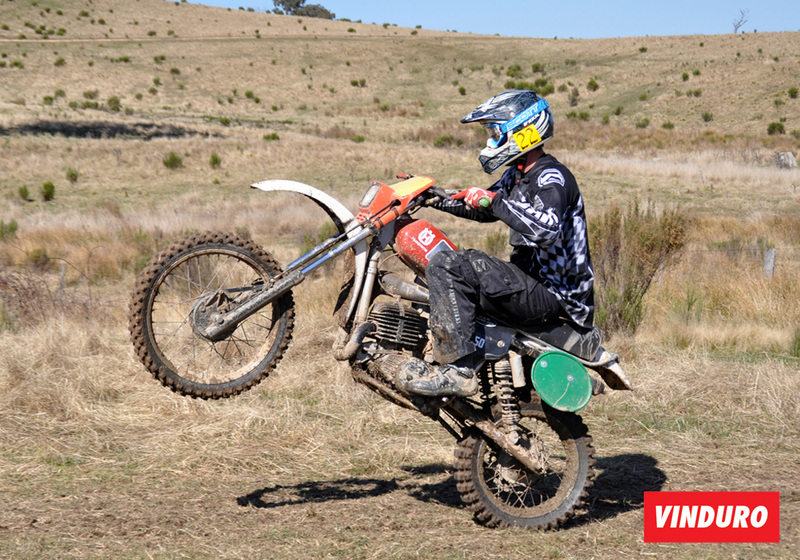 VINDURO, meaning ‘Vintage Enduro’ is the fastest growing vintage motorcycle movement in Australia. The first VINDURO event in Australia took place in Victoria in 2007. Since then the sport has grown considerably and is now represented by clubs in most Australian states. Each club has their own set of guidelines, however it’s a unified message across the board – good old fashioned bikes, good old fashioned fun. The major contributing factor to the success and growth of the sport is the relaxed and ‘regulation-free’ nature of the events. Another key factor is that VINDURO’s are not competitive, people aren’t racing, they’re just riding their old bikes – having a good time. The word vintage is commonly used to describe anything that is 25 years or older, the bikes used at VINDURO’s are predominantly old enduro and trail bikes from the 70’s and 80’s . Bike eligibilty does differ from club to club, event to event, and state to state. Some stick to the Pre 1985 guideline while others follow Pre 1990. To find out if your machine is eligible you should always contact the people organising the event. If you have any questions please send us a message via our contact form.